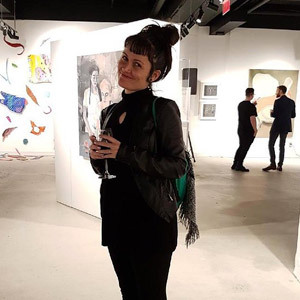 HollyJo is an emerging interdisciplinary artist whose work explores themes of bodily integrity, intimate vulnerabilities and play as a source of empathic healing. Her recent work is a product of personal experiences of trauma and navigating of mental health. Guided by the process of making, she finds solace in the manipulation of material as it informs notions of vulnerability, emotional atmospheres, identity, mourning and manifestations in the body, to form three-dimensional visual discussions. Her current mediums of expression include mould-making, metal/ceramic/rubber/plastic casting, performance and assemblage.